I feel like we are finally starting to get into a normal routine. Those first few weeks of school are all about establishing routines and some groups just take longer than others. 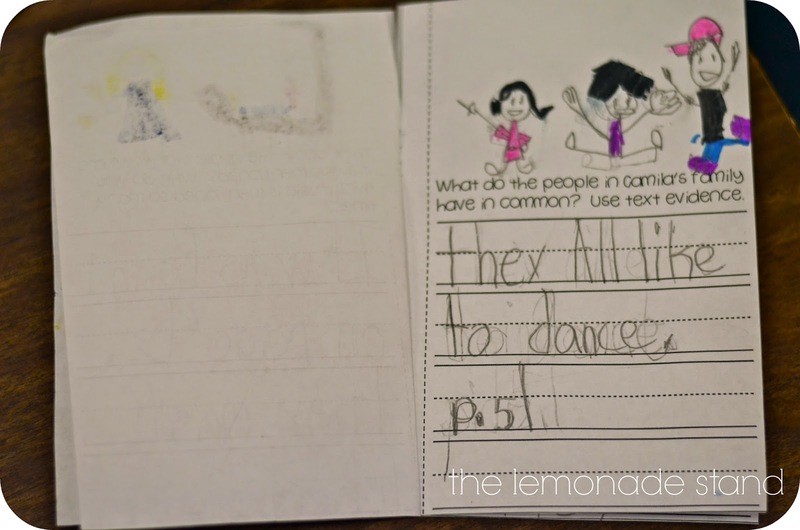 ;) In reading this week, we were talking all about families. We compared and contrasted our families to the family of Camila in our anchor text My Family from the Journeys reading series. We added this little flap book to our new Interactive Reading Notebooks. We are all about reading like detectives. This week, I introduced them to their first Reader's Case File. They were so excited about it! They were begging to do another one the next day. This will be a weekly routine for them. 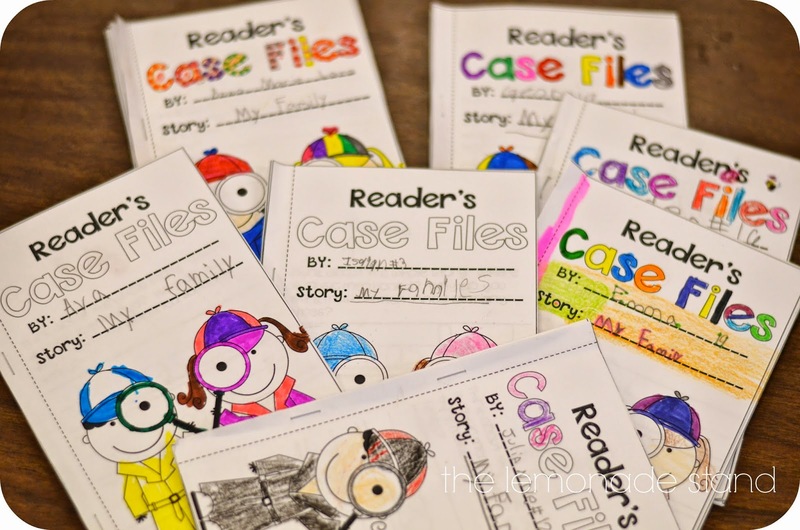 Each case file has three text dependent questions in which they have to provide text evidence to support their answer. We did it all together this week, because this skill takes LOTS of modeling. They were so excited to get their little magnifying glasses, too. Each week, I will introduce some new detective garb to keep it exciting. 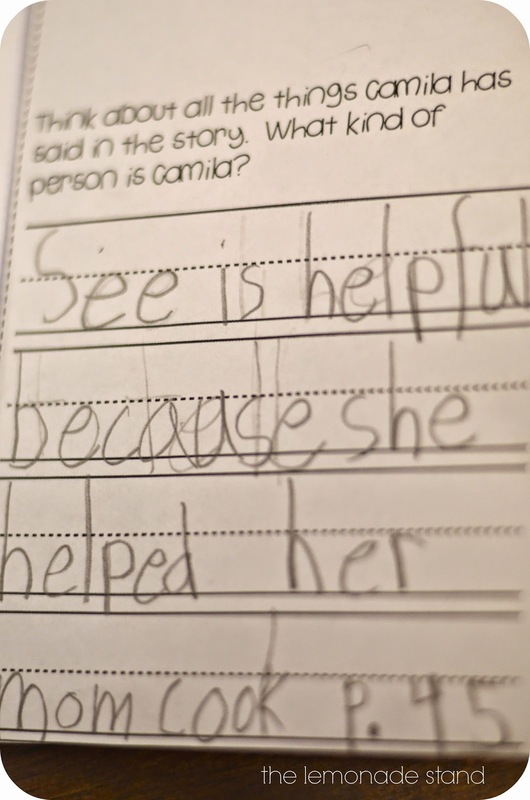 As you can see, we need some handwriting and proofreading help! They are using random uppercase letters like crazy! We will work on breaking that more this week. Our amazing intervention team performed their DRA tests this week. That made it the perfect time to introduce how to choose a book. 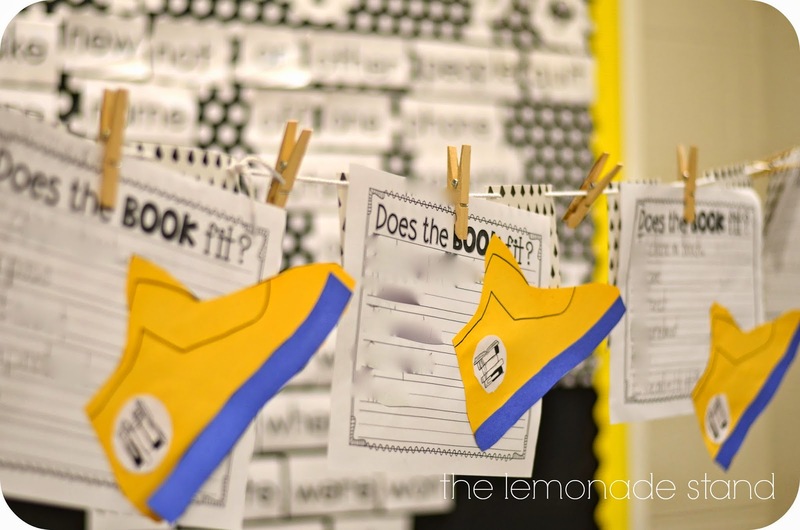 I always read the book Those Shoes to them before we choose books. We then made the little sneakers above. I let them choose 2 on their level and then one of high interest from my classroom library. They also get to choose 3 from the school library so they always have 6 books to choose from in their chair pockets. 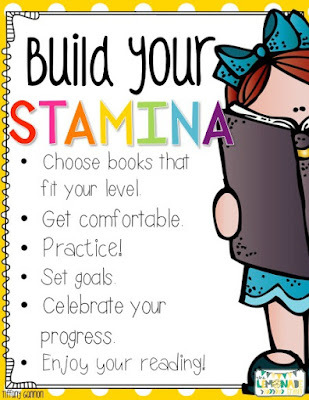 We also talked about building our reading stamina. 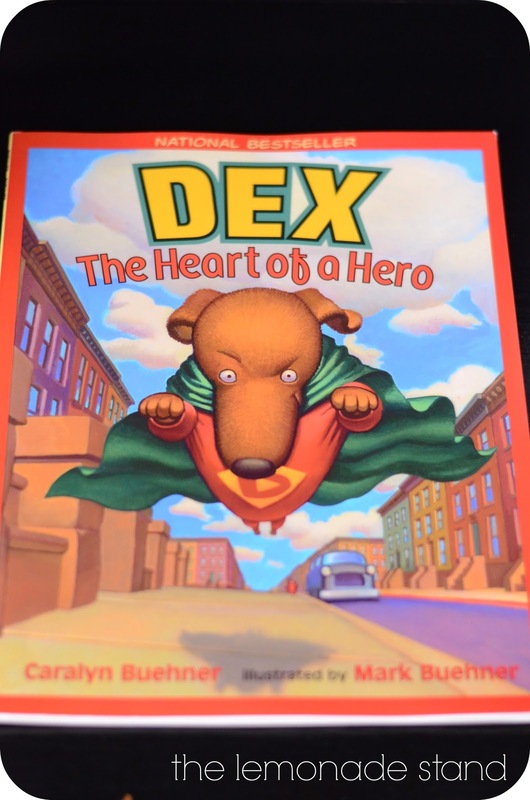 They usually have no idea what that is when I get them, so I like to read the book Dex: The Heart of a Hero to explain what stamina is. The first day we practiced, their goal was two minutes but they made it four minutes so we shaded in our graph. Now I have students asking, "When can we work on our stamina, Mrs. Gannon?" Super cute! 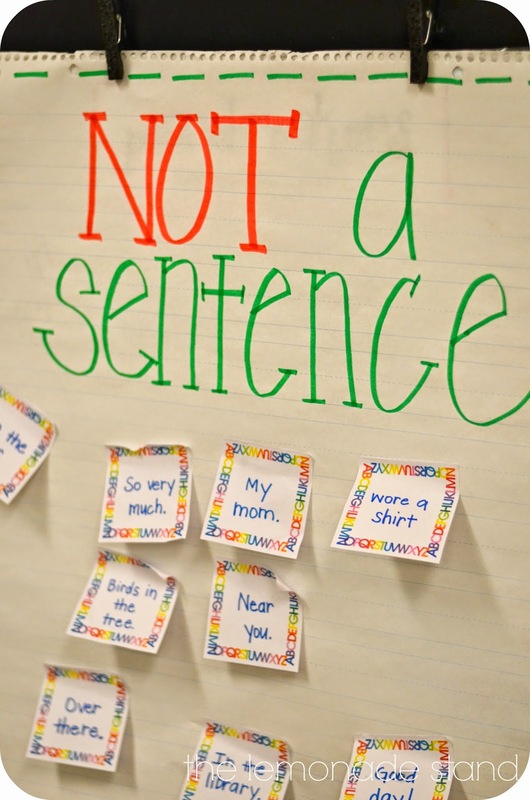 I like to display this poster in our classroom library for students to refer to during centers. 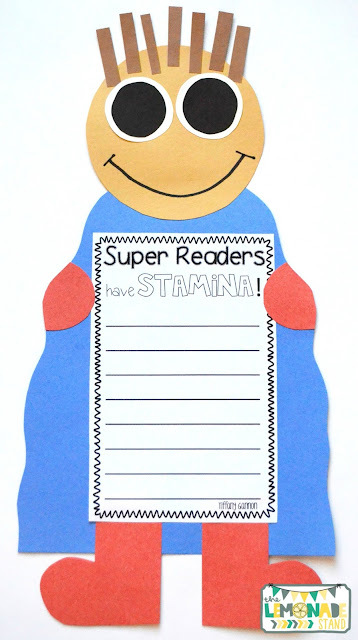 We also love to make the Stamina Superheroes below! 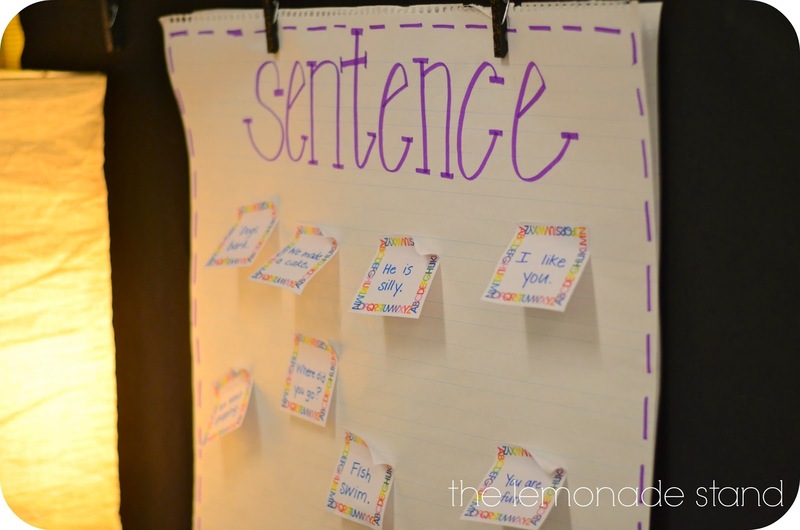 We did a little sentence, not a sentence sort to introduce sentences this past week. They did really well with this! 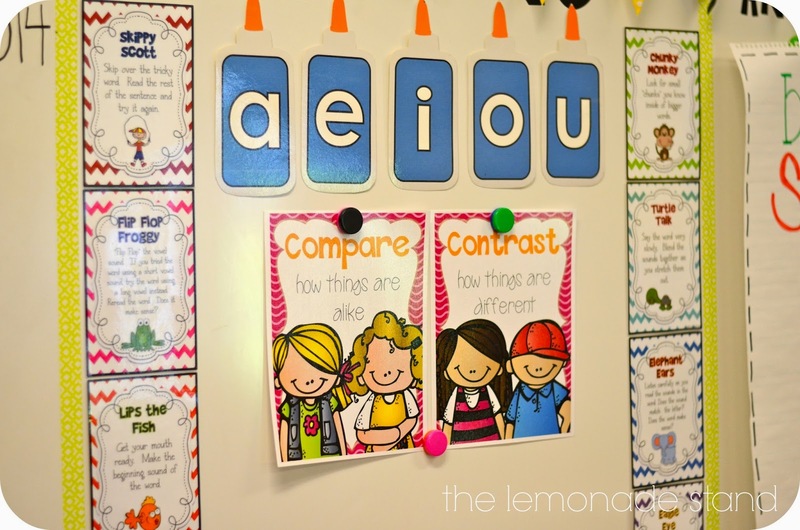 We worked a little on run-on sentences, too. You can see the original idea here. In math, we have been working on subtraction strategies, and I forgot to take pics! Math is first thing in the morning, so I don't think I am quite awake yet! We used lots of activities from this awesome unit. I don't know what I would do in math without Amy Lemons' units! 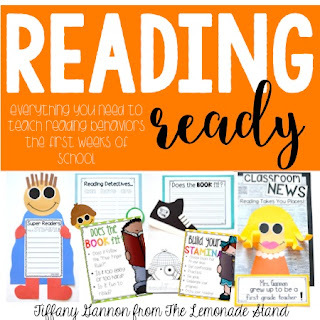 If you want to add a few craftivities to get your classroom "Reading Ready," check out my pack of back to school craftivities that will help you teach some key reading practices to your little ones. ***This unit has been completely updated! You can find it below! Be sure to stop by tomorrow to take a Peek at my Week! Have an awesome three-day weekend! 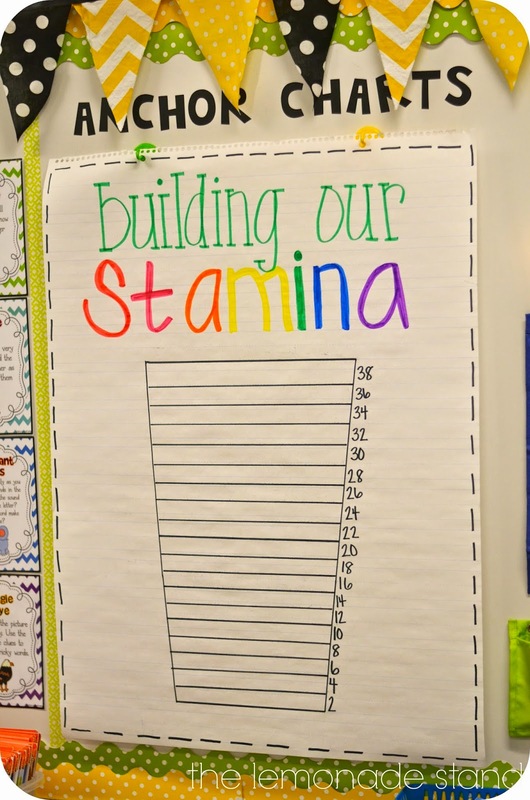 I love your stamina chart!!! Thank you! I think I link to you in every blog post! I love all of your math units! 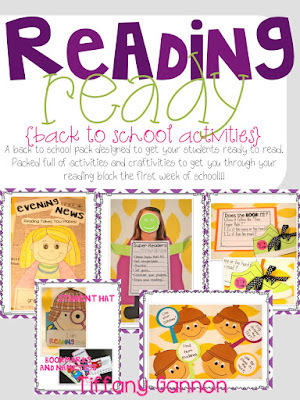 Back to School Fun and a Sale!! !